Hexcel’ carbon prepreg patch technology has been selected as a finalist for the JEC Innovation Awards 2019 in the automotive category. Hexcel will display the HexPly carbon patch technology at JEC World 2019, from March 12-14, 2019, among other composite innovations for the automotive, marine, wind energy, and aerospace sectors, in booth J41, pavilion 5A. Hexcel’s composite solution improves the performance of aluminium subframes by reducing noise, vibration, and harshness (NVH). HexPly patches consist of uni-directional carbon fibre and an epoxy matrix with fast curing self-adhesive properties that enable it to bond to metal in a highly efficient one-step process. 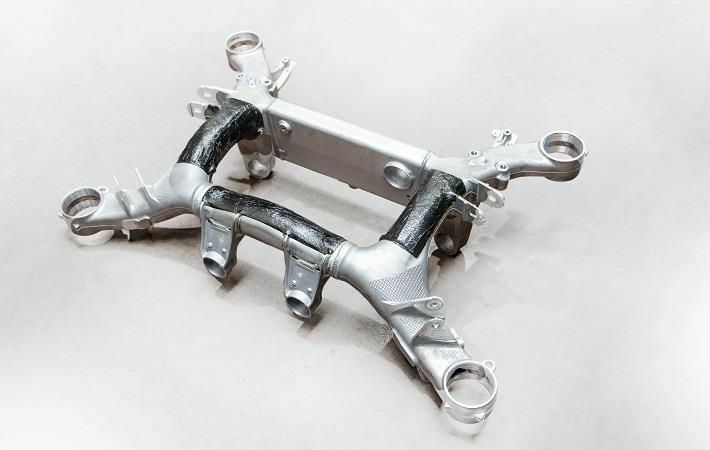 500 grams of HexPly prepreg were added to the aluminium subframe, and the test results demonstrated a positive effect on improving overall NVH performance. Aluminium subframes are significantly lighter than traditional steel versions, according to Hexcel. Hexcel developed HexPly carbon prepreg patch technology to provide an innovative way of locally stiffening and reinforcing aluminium parts to provide noise and vibration management functionality. This technology was tested by Saint Jean Industries, Hexcel’s partner in the award application, on an 18.5kg rear aluminium subframe from a series production vehicle. The company performed modal analysis over the range of frequencies experienced by subframes, taking into account different engine types across a range of vehicle speeds. Based on this analysis, Hexcel calculated the carbon layers and orientations required to optimise mechanical performance and the vibration response. Benefits of this innovation include lower production costs, energy savings, increased driver comfort, production flexibility, and part count reduction. The technology is adaptable for thermal engine, electric or fuel cell vehicles, allowing OEMs to benefit from a fully developed industrialised solution with noise and vibration simulation tools already available to optimise part performance. Hexcel' carbon prepreg patch technology has been selected as a finalist for the JEC Innovation Awards 2019 in the automotive category. Hexcel will display the HexPly carbon patch technology at JEC World 2019, from March 12-14, 2019, among other composite innovations for the automotive, marine, wind energy, and aerospace sectors, in booth J41, pavilion 5A.